All you have to do is mention Jerry's Sno Cones and my mouth starts to water. 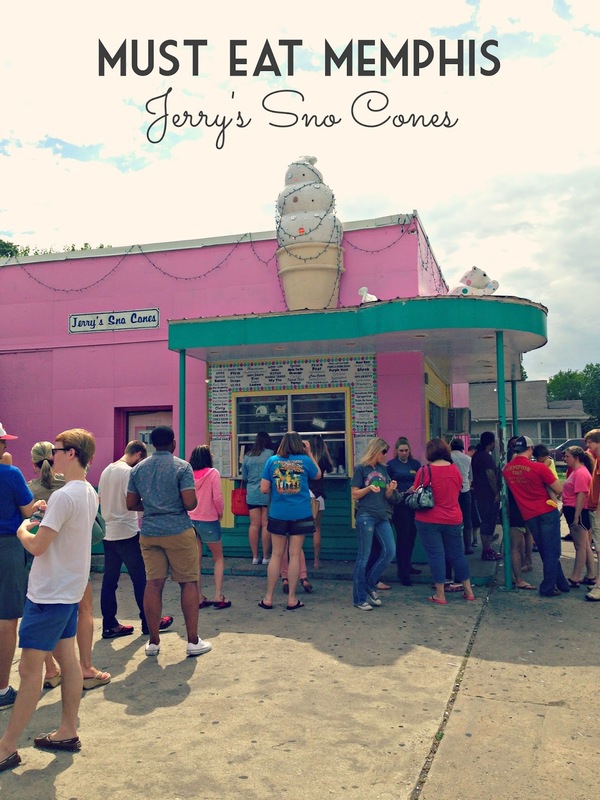 Jerry's is a Memphis staple and the best treat for a hot day... or a rainy day... or pretty much any day. 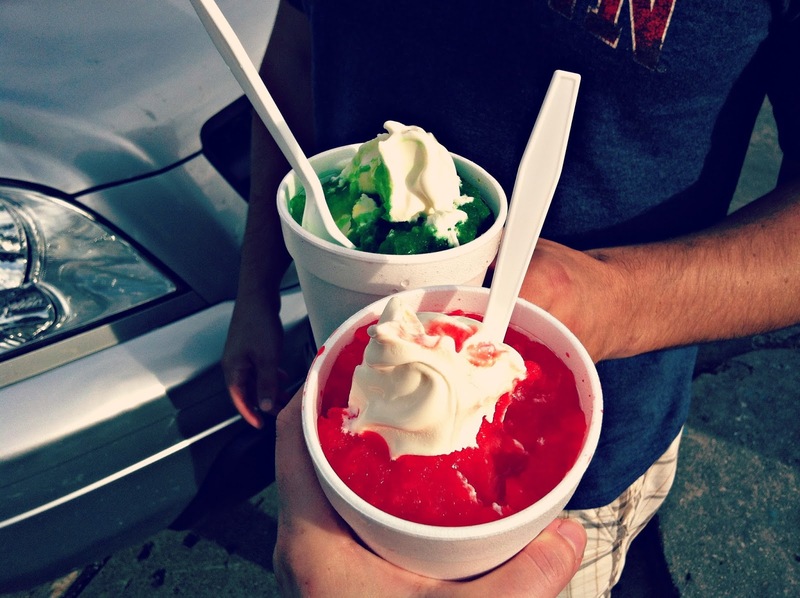 People wait in crazy long lines for this refreshing sno cone made supreme. That means, with ice cream. Yes, it sounds strange, but trust me, it. is. amazing. There are so so sooo many flavors and over the years I've been able to try several different ones! I think my favorite is still the Wedding Cake, made supreme, of course. Memphians, what is your favorite flavor? Recently, we drove out to Jerry's and we did something we have never done before. Jeremy ordered a burger from Jerry's. We have only ever ordered sno cones but I have a feeling there will be more burgers ordered in the future. Jeremy cannot stop talking about how good it was! Have you ever ordered food from Jerry's? The trick to avoid lines? Go when it's raining. Just don't forget to bring an umbrella. Here's the post I wrote about my first visit to Jerry's! Holy cow. That looks like the most delicious sno cone I've ever seen.